Home / Wizards Seasons / 2009-10 Wizards / What Has Andray Blatche Seen Before? What Has Andray Blatche Seen Before? 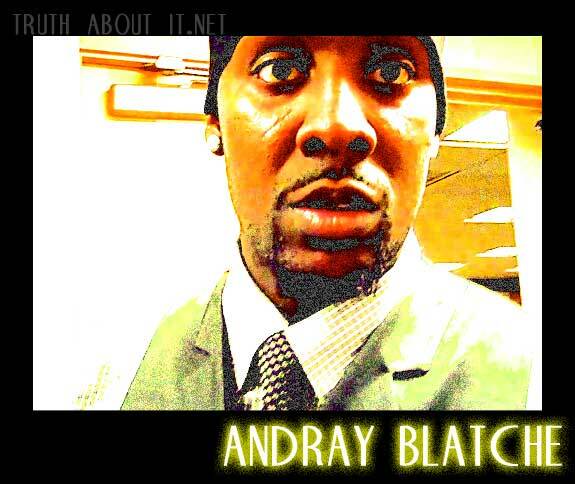 In case you haven’t heard, Andray Blatche has been doing pretty damn well lately. This sparked a recent Twitter debate amongst a couple of the better NBA writers on the ‘net. Mike Prada of Bullets Forever has suddenly elevated Blatche to one of the best power forwards in the league (in terms of who you’d want on your team over the next five seasons). The only players Prada would take over Blatche is Josh Smith, Kevin Love, Chris Bosh, Blake Griffin and Pau Gasol. This is, of course, factoring in value of play and value of contract. Tom Ziller, of several places all over the Interweb, but most notably SacTown Royalty and NBA FanHouse, seems to disagree, wondering specifically about Al Jefferson, Carl Landry, J.J. Hickson, Michael Beasley and LaMarcus Aldridge, and saying that Prada is “in lonely company taking Blatche over any of them, let alone ALL of them.” The debate raged on. The disclaimer is that my friend Mr. Prada has always been a bit over-amorous for Andray Blatche. I, on the other hand, have always been a bit too skeptical, perhaps unfairly so. Although, in my opinion, and since I’m writing this on my site, Blatche has always ‘made his own bed’, if you will, (and I’m not taking about when he got caught soliciting an undercover cop he thought was a prostitute), with his inconsistent play that has often derived from lack of conditioning, focus and a commitment to the game. But the guy is still young and finding his way. This season, often times I’ve come around on Blatche. Other times not so much. Flip Saunders has openly expressed frustration that Blatche tends to float away from the rim, and of course, when he tries to do playground dribbles behind his back. Hence, because of Andray’s penchant for inconsistency, it’s way too early to judge his future on these past couple of games. And Mr. Prada would agree with me. However, the start is extremely promising for Wizards fans. As Prada notes, Blatche’s pace-adjusted numbers per 36 minutes over the last ten (10) games are as follows: 23.3 points, 9 rebounds, 2.1 turnovers, 26.3 PER, 59.6 true-shooting percentage, 55.5 effective field-goal percentage. Andray has obviously seen a vastly increased role since he’s been inserted into the starting lineup for Antawn Jamison, but what exactly has he seen before in terms of his usage on the court and his offensive production? Well, a way one could measure this is Usage Percentage, which is an estimate of the percentage of team plays used by a player while he is on the floor. As you can see in the chart below, Andray’s Usage% has been up and down all year, but at least more consistent past game 43, with no dips below 15 or even 20. As we now know, Andray has to be consistently involved from here on out. It’s worth nothing that Usage% doesn’t account for how many minutes one plays in a given game, just what he does while on the floor. So, here is Blatche’s USG% overlaid with his minutes played per game. In his career, Blatche has played in 33 games (out of 293 total) where he has had a Usage% above 25 while seeing more than 20 minutes of action. Ten of those games have come this season, 12 in 2008-09, 10 in 2007-08 and one in 2006-07. Blatche has played in nine career games with a Usage% above 25 and more than 30 minutes of action. Four of those nine games have come in the last six games since the trade. The second, and perhaps more valid, measurable we’ll look at is Game Score, which was created by John Hollinger and is a rough measure of a player’s productivity for a single game. Ten times this season, Andray has had a Game Score over 16. Six of those times came in each of the games Blatche has started since Jamison was traded. Two came in the nine games at the beginning of the season that Jamison missed because of an injured shoulder. For his career, Blatche has had 21 games with a Game Score of over 16. Four came last season (08-09) and seven came the previous season (07-08). Four of Blatche’s all-time top ten Game Score games have come in the past six games, seven of the all-time top ten coming this season. Also worth noting: Andray has 42 games in his career with a negative Game Score — Six have come this season, four in 08-09, 11 in 07-08, 12 in 06-07 and nine in 05-06. So, Blatche has seen similar levels of usage and production before, but not as often and they’ve never come with him being a main focus of his team’s offense or the opponent’s defense, i.e., and this is not to be a knock on Andray’s current teammates, but he’s never been surrounded but such low-quality offensive talent. Yet, he excels. Be proud of him. Be proud of the entire Wizards team. In the six games since the trade, they’ve gone 3-3. In comparison to the first 50 games on the season to the post-trade six, Flip Saunders’ team has increased their FG% from 44.4% to 48.7%, slightly increased their rebounds per game from 42.2 to 42.8, increased their assists per game from 18.1 to 24.2, slightly decreased turnovers from 13.7 to 13.5, and has increased points per game from 97.5 to 105. True, some of these numbers are influenced by opponents and their pace of play, but they are still indicative of how Saunders has been coaching in getting this new batch of players to trust his system more. Here’s the deal, Blatche has been playing great as “the” go-to guy lately when the Wizards don’t really have any other go-to guys. Mike Miller refuses to be anything but passive, Josh Howard only saw 91 minutes of action, Al Thornton has yet to truly establish himself, and Randy Foye is still trying to find a way to use his gray matter to get past only making black and white decisions as a point guard. In other words, the fact that Blatche is putting up great numbers now is a very positive sign. But what happens when the team gets more talent around him, talent that might mean Blatche is no longer the main focus? Will he still be this New Day Dray, or will he fade into the background like he’s done many times before? The jury will continue to deliberate.